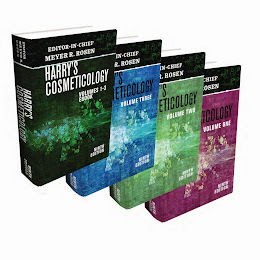 Harry's Cosmeticology 9th Edition: Lisa Gandolfi, Ramiro Galleguillos PhD, Polymeric Rheology Modifiers, Harry's Cosmeticology 9th Ed. 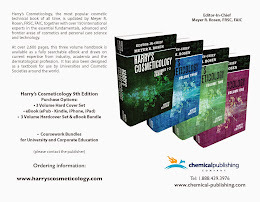 Lisa Gandolfi, Ramiro Galleguillos PhD, Polymeric Rheology Modifiers, Harry's Cosmeticology 9th Ed. Lisa earned a Bachelor of Science degree in Chemistry from Truman State University in 2001 and a PhD in Polymer Science & Engineering from The University of Southern Mississippi in 2008. Her research was sponsored by the Society of Cosmetic Chemists Graduate Fellowship, with a focus on polymer-surfactant interactions and high-throughput screening. In 2006, Dr. Gandolfi joined Johnson & Johnson Consumer Products Company where her research focused on development of new technologies for innovation in cleansing products. Lisa joined Clariant Corporation in 2011 as the Technical Manager for Consumer Care in North America. Her team is responsible for technical service, sales support, and regional application development for Clariant’s Personal Care and Industrial & Home Care product portfolios. Dr. Galleguillos obtained his BS degree in Chemical Engineering from Universidad Mayor de San Andres, La Paz Bolivia, with an Industrial Chemistry degree from Yamaguchi University, Ube, Japan. He graduated with an MS degree in Chemical Engineering from Ohio University, Athens, Ohio, USA. Later on, he obtained his Doctorate Degree from Case Western Reserve University, School of Macromolecular Science; Cleveland, Ohio, USA. After graduation he joined Helene Curtis Inc., HCI, in Chicago Illinois which was later acquired by Unilever. He worked in the Advanced Formulations Group of HCI/UL for 12 years where he conducted product development research in areas of Antiperspirants and Deodorants, hair fixatives and related hair care products. In particular he was involved in the formulation of innovative AP sticks, soft solids and refractive-index matched clear gels, reduced VOC aerosol and non-aerosol hair sprays, hair mousses and gels. Additionally, he worked as adjunct professor at The Illinois Institute of Technology where he taught a Polymer Chemistry graduate course for three years. He joined Lubrizol (ex BF Goodrich/Noveon) in 1997 and worked in the Synthesis Group preparing and testing rheology modifiers and fixatives for personal care. He was responsible for initiating the Fixate™ line of hair fixative polymers at Lubrizol. Currently he works in the applications team of the personal care group of Lubrizol conducting research in polymer-surfactant systems. 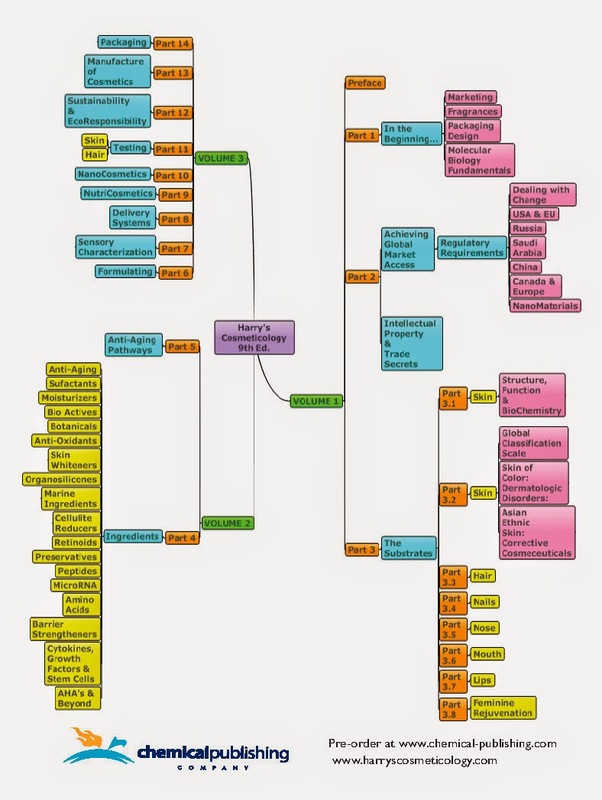 In particular, he is involved in new product and formulation development, helping screen, develop and test rheology modifiers for use in surfactant compositions such a body washes, shampoo, liquid soaps and related cleansing products. Dr. Galleguillos holds more than 40 granted patents and has made several publications.